It’s Wedding Season In The City! I think our summer weather has FINALLY arrived! The sun is shining, people are smiling, it’s going to be an amazing summer in our gorgeous city! And do you know what else that means? LOVE is in the air! Yes, wedding season has arrived for us. You have everything all aligned – your flowers, your dress, your guests. But then you smile in the mirror and, *GASP* – your teeth look like a shade of champagne. Now don’t get us wrong, we love a glass of bubbly. But not when it comes to our shade of teeth! We have some amazing options for brightening up your smile this summer. Take a look below to see Dr. Jessica Emery talk about her favorite whitening services! Kor has become one of our FAVORITE whitening treatments here at The Loft. It requires no lights or lasers. When doing KOR, you arrive in our office for an hour-long appointment, to open up your tubules on your teeth. That gives the whitening gel access to settle into those tubules and whitened from within. Did you know that if your whitening gel mixes with your saliva, it breaks down the peroxide and is less effective? That’s why we make a special whitening tray that locks in your whitening gel, unlike traditional trays. Once you have completed your in-office treatment, we send you home with your KOR custom trays and whitening gel. You then whiten at home, for 2 weeks, by wearing them at night. You then come back for one more visit to our practice and we seal your teeth. The results are AMAZING. It is one of the best whitening treatments on the market! Are you in need of a quick whitening process? A service where you can come in and leave 8 shades brighter? Then ZOOM is the whitening system for you! This process requires you to be with us for 2 hours our of your day. You will have three, 15-minute sessions, and a bonus round if you would like to get that extra kick! All you need to do is get cozy with our cashmere blanket, warm neck pillow, and pick a show on Netflix, and we’ll take care of the rest! 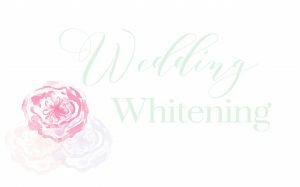 You then will get custom take-home whitening trays and whitening gel to give your smile a little pick me up before a big event or soiree! 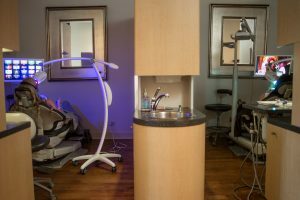 Sit back, relax, and whitening those pearly whites! Now go get outside and enjoy this beautiful day!